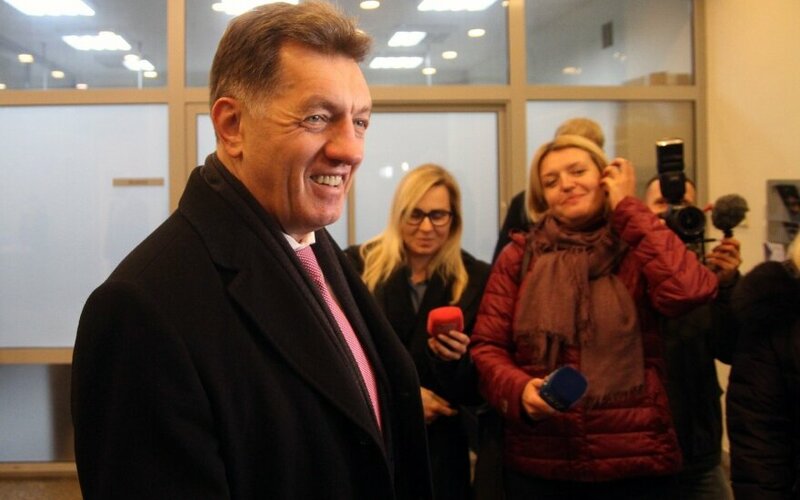 Lithuanian Prime Minister Algirdas Butkevičius says that what he regrets most is that his Cabinet failed to implement healthcare and education reforms. "The reorganization of the healthcare system was started under Vytenis Andriukaitis (as health minister), but later that reform slowed down. We also failed to carry out a reform of education, science and studies in Lithuania. I think that the process of passing these draft laws by the Seimas was very protracted," Butkevicčus told reporters after his Cabinet's final meeting on Wednesday. "I believe this is one of the most important tasks for the new government," he added. The outgoing prime minister rates his government's performance at eight out of ten points, noting that life in Lithuania has been improving over the past four years and the country's GDP growth has been the fastest among the three Baltic economies. "Any rate of economic growth is too slow for Lithuania and the other Baltic countries if we want to catch up with the Czech Republic, France or Germany. I think Lithuania's economy should grow twice as fast if we want to promise a more rapid growth of pensions and wages to people," Butkevičius said. "For its economy to grow twice as fast, Lithuania must have something to make it stand out and be more attractive to investors. If we have nothing that makes us different from Hungary or the Czech Republic, which are geographically more attractive to foreign investors, we will hardly be able to speak about rapid economic growth," he said. Butkevičius said that his government's major achievements included the simplification of the issuance of territorial planning and construction permits, Lithuania's EU presidency, euro adoption, energy independence and the opening of membership talks with the Organization for Economic Cooperation and Development (OECD), as well as the working out of the so-called new social model, a package of legislation including a new Labor Code.